BERNSTEIN I.J. 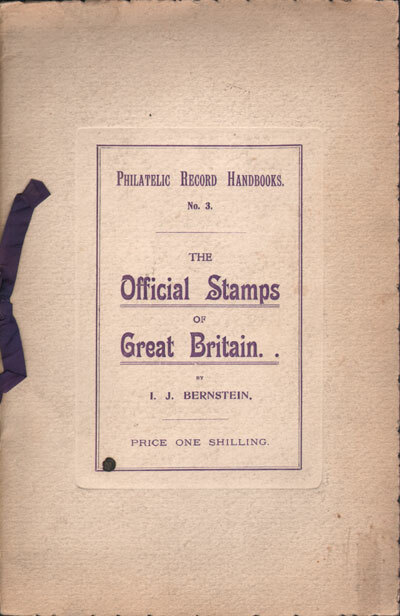 The Official Stamps of Great Britain. 19pp. 1st ed., minor tone spotting mostly to title page otherwise fine in original card covers.